Miss Matched and Marvelous: Somewhere over this Rainbow!!! I can't believe that our Becca is 5! Sooo much I could say about this little girl, but words just wouldn't do it justice! I did however, want to style a perfectly bright and cheerful party, that would make you smile, just as much as she brings a smile to everyone's face that meets her! Guests were met with Rainbow Balloon Wreath! WE recived sooooo many compliments about this wreath. I have to tell the truth. It was up for about a week before the party, and neighbors stopped to tell us how much they loved it! 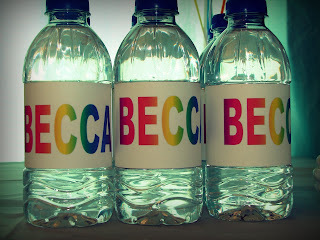 Rainbows Rainbows EVERYWHERE! 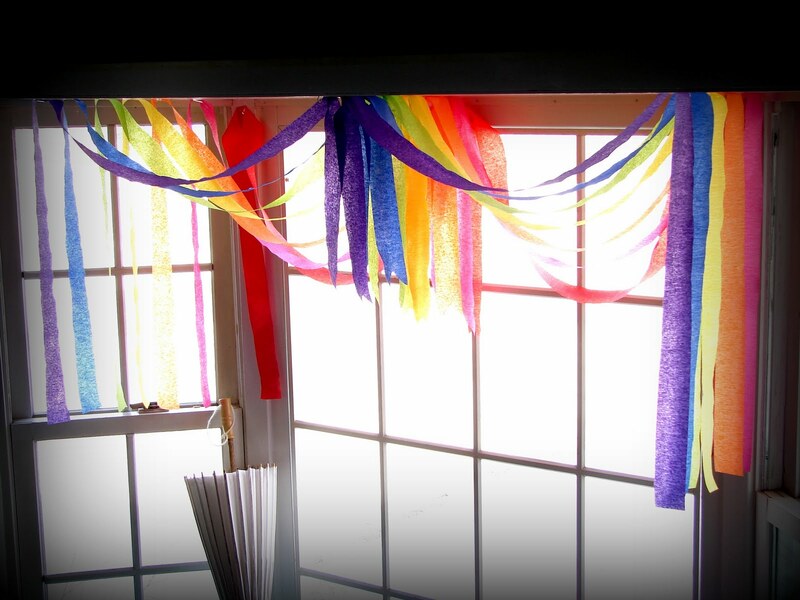 I used the bay window as the presents staging area and of course it needed to be topped with ROYGBIV! Rainbow Wands for everyone! 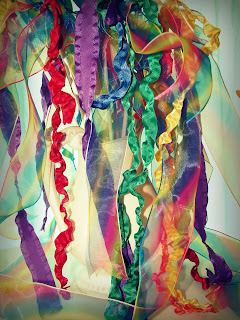 Made of simple dowel rods and ribbons...what little girl doesn't want to dance around with one of these? 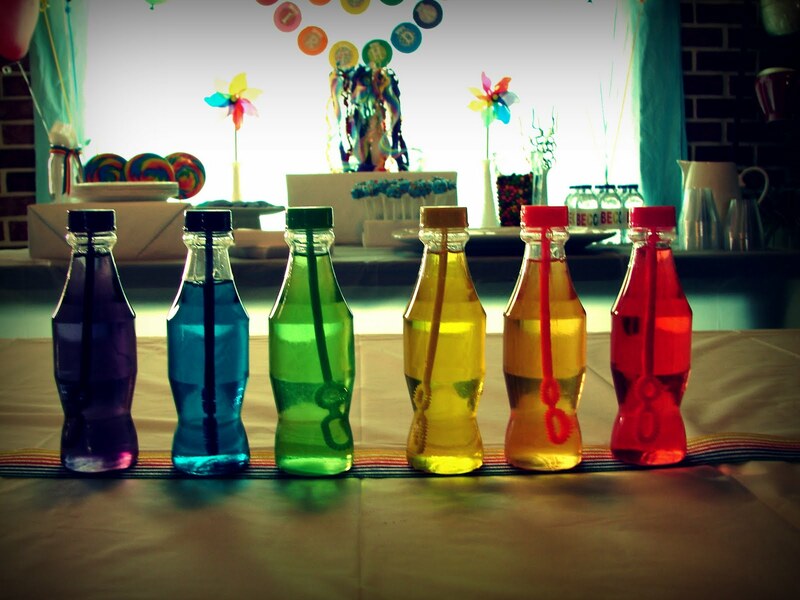 The kids craft table had a rainbow assortment of bubbles to add to the take home bags. We also painted each child's initial and made sand art bottles! 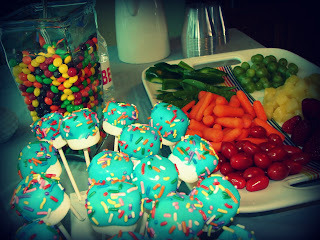 The food was a huge assortment of sweets...and of course this momma thought a little selection of fruits and veggies were necessary as well. To my surprise, fruits and veggies went first! Rainbow Cake (both inside & out), white chocolate dipped marshmallows (with sprinkles...which make everything better), giant lollipops, gel-dyed sugar cookies, Skittles, veggies, fruits, and water bottles! Last I heard...allllllll kinds of dreams come true! Happy 5th Birthday Becca! Linking to the following blog parties! Check them out by clicking on the buttons and seeing all the fabulous work thats been done! Absolutely adorable!! I love themed parties and I have never seen a rainbow themed one. This was too cute! I love the wreath and the bottles of bubbles are adorable. Thank you so much for sharing this with us for Inspiration Friday At The Picket Fence! 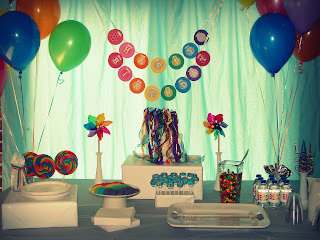 what a great theme for a birthday party! 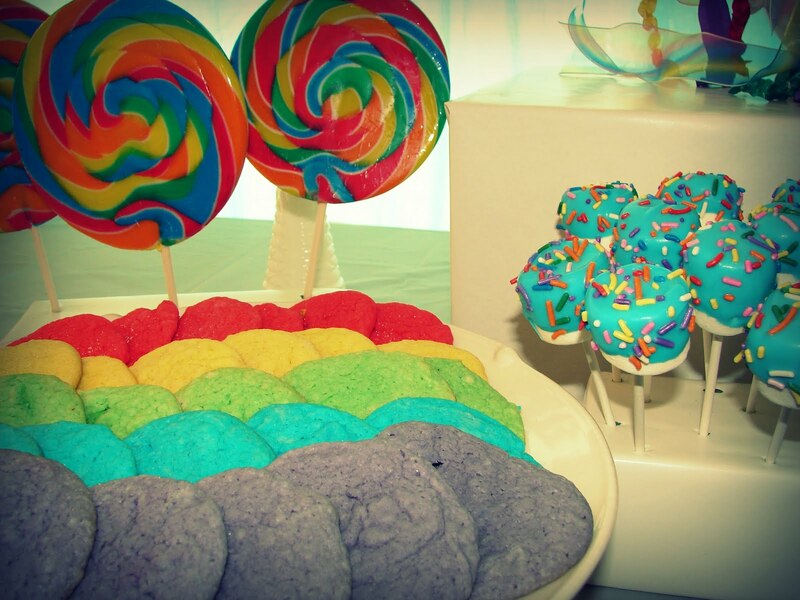 This rainbow themed party looks great. I like the rainbow balloon wreath. 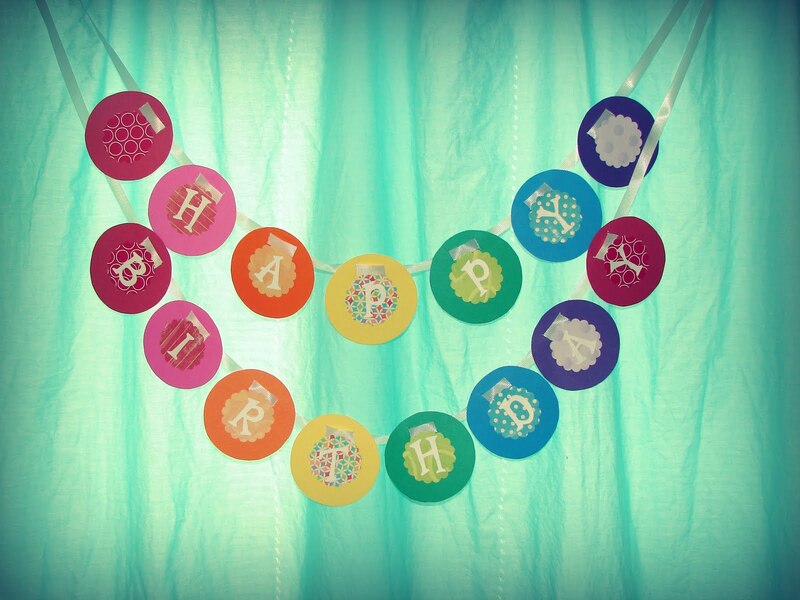 Everything here is beautiful.Can you tell me what kind of wreath form you used and what you used to attach the balloons with? 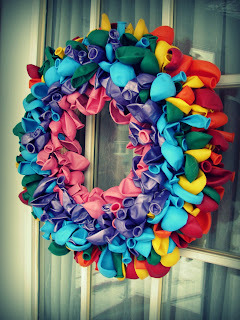 This is by far the most gorgeous balloon wreath I have saw on the web!